Twenty years after it stopped offering public tours, beer giant Anheuser-Busch has reopened its Williamsburg brewery to visitors for a limited number of tours through Sept. 2. For $25, visitors can join 60- to 90-minute tours where they can view the brewing process and drink free samples in the brewery’s beer garden. The Williamsburg brewery, which opened in 1972, previously had a hospitality center that could be reached from Busch Gardens by monorail. Those tours stopped in 1998 when expansion at the brewery raised safety concerns. In bringing back the tours, the brewery hopes to engage area residents and weigh interest in future events. 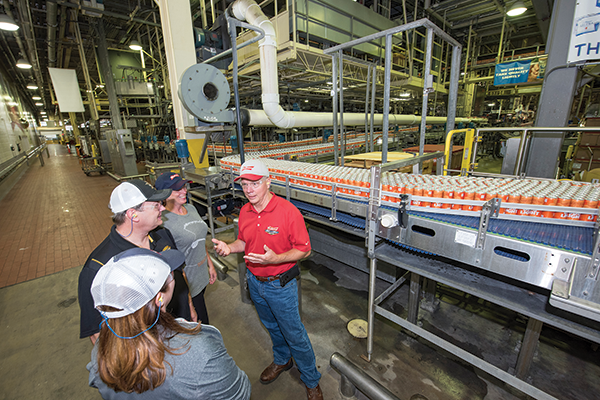 Unlike its previous tours, Anheuser-Busch will allow guests on the brewery floor. Revival of the brewery tours comes at a time when beer sales — especially those of big brewers — have fallen. Overall, U.S. beer volume sales were down by 1.2 percent last year, according to data from the Brewers Association, a national trade association. Part of this decline is a result of changing consumer tastes and the continuing popularity of craft beer, whose U.S. sales volume rose 5 percent last year. In response to this shift, Anheuser-Busch has purchased a number of smaller brewers, including Goose Island, Blue Point and Virginia-based Devils Backbone. The Williamsburg brewery now brews Devils Backbone’s flagship brand, Vienna Lager, along with roughly 40 other brands. Through tours and events, the Williamsburg brewery aims to embrace the community that supports it. “There’s a whole new generation of beer lovers who aren’t aware of the fact that they have this brewery in their backyard,” Scott says.